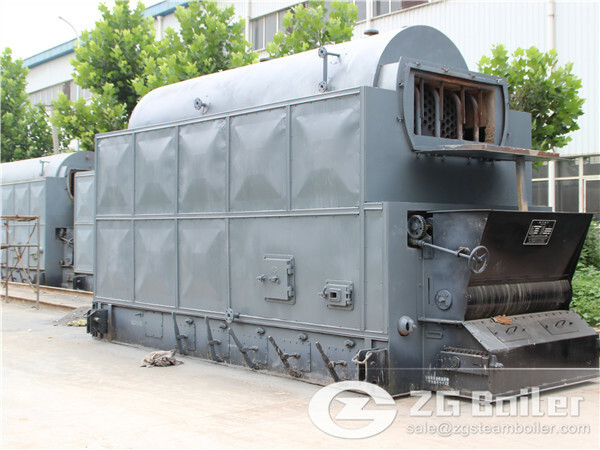 ZG solid Fuel operated hot water boilers are specially designed to be operated with all kinds of solid fuels and low - calorific value coals. A very long life backed by the availability of all spare parts, and our after sale service. Due to the fine adjustment with dampers on the fans, a homogeneous air is blown to the combustion chamber leading to high efficiency and heat transfer. The digital thermometer and adjustable thermostat on the control panel enables the operator to see and adjust the temperature. Optionally installed tubular grill enables higher efficiency, and as the water circulates through the tubular grill, grill deformation is prevented. A soild fuel hot water boiler can be installed on the front door and the boiler can easily be converted to a liquid or gas fired boiler. Heat transfer surface is increased by the additional hot water circulation system on the door. The door is not heavy as refractor material is not used and there is no risk of overheated concrete cracking. The locking system on the front door provides full insulation. An esthetic appearance with electrostatic finishing. Boiler shell is covered with glasswool to prevent heat loss. Highest heat transfer achieved by using window type turbulators. Smoke chamber and safety-lid insulated against gas leakage with o-rings and silicone sealent resistant to 400C° temperature. Mechanical and thermic durability in accordance with Turkish and international standards granted. We are conceptualized in imparting the comprehensive range of hot water boilers for the clients. Our range includes oil-fired hot water boilers, Wood Fire Hot Water Boiler, gas fired hot water boilers, solid fuel fired horizontal hot water boilers . If you have requirement of this type boiler, please contact us.